ALBANY, NY (WAMC) – The New York state budget passed first thing Monday includes a proposal to close two or three prison facilities. The idea is not sitting well in the North Country, which has seen facilities shuttered in the past. The proposed prison closures are of concern in the North Country. In 2009 the state closed Camp Gabriels. That was followed in 2011 with the shuttering of the Lyon Mountain Correctional Facility. 115th District Assemblyman D. Billy Jones is from Chateaugay where the Chateaugay Correctional Facility was closed by the state in 2014. A former corrections officer, the Democrat says he will fight to ensure no more facilities his district close. Beyond the debate over inmate population, Cuomo is refocusing the debate over the economic repercussions of closing prison facilities. “I know they’re economic engines in upstate New York but God help us if we have to get to the Pearly Gates and say to God ‘I created jobs in upstate New York by locking up people who didn’t need to be locked up’,” said Cuomo. But Jones believes it’s unfair for the state to abandon communities that accepted the prisons decades ago. Franklin County Legislature Chair Don Dabiew says the prisons offer the best paying jobs in the area and questions the governor for not knowing, or perhaps revealing, which facilities will be closed. “It seems like if there was a real need for certain prisons to be targeted he wouldn’t even have to think about it. He’d know which ones they were,” said Dabiew. 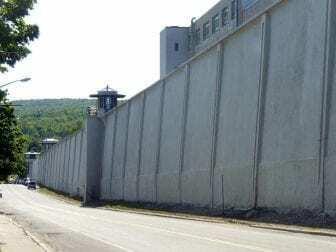 Prisons that remain open in the North Country include Bare Hill, Upstate Correctional and Franklin Correctional in Franklin County; Adirondack Correctional and Moriah Shock Incarceration in Essex County and Altona and Clinton Correctional in Clinton County.